Everyone goes through difficult times in life. You may be experiencing a situation that has left you feeling lost and hopeless. What’s the answer? Return to Jesus – pure and simple. On the other hand, you may be involved in ministry, being pulled into several different directions at once as you try to balance family, friends, job, studies and faith. These are all good things, but they can leave you feeling overwhelmed. What’s the answer? 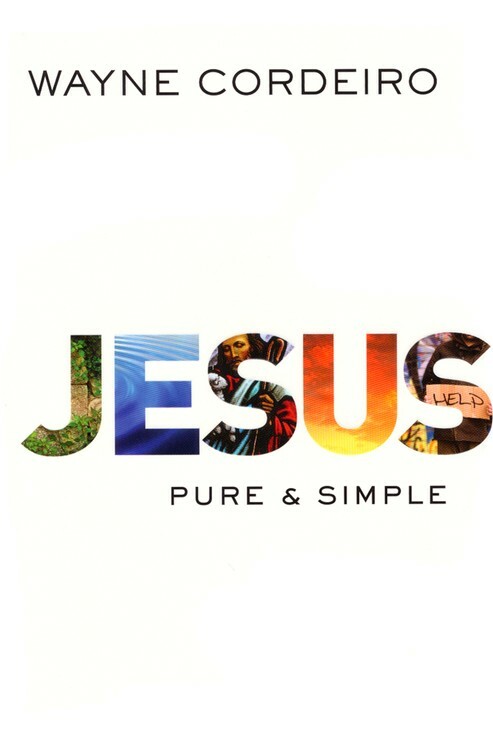 Return to Jesus – pure and simple. Wayne Cordeiro reminds us of the simplicity of faith and following Jesus. He points out how we often lose sight of our true priorities as we try to accomplish our own goals. We become overwhelmed, or stray for the path, and the only thing that can truly be at peace (no matter what our circumstances may be) is to return to Jesus. Jesus is our example, and spending time with Him will make us more like Him. In the final chapter, Cordeiro discusses three choices we must all make. 1) Choose this day whom you will serve. 2) Choose the posture you will take. 3) How will you respond when tested? Be steadfast without being belligerent. Be teachable without being gullible. Be courageous without being arrogant. Be righteous without being self-righteous. Overall, this book is a reminder to every believer. We may stray. We may fail. We may move so far away from the Father that we feel like we can never return. But we can. If we only look for Jesus, we’ll find Him. He’ll be waiting there with open arms… pure and simple.